1.5 How to prepare carob porridge for the belly? 1.11 How much sugar has carob flour? 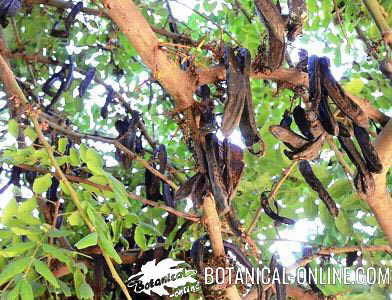 Carob tree (Ceratonia siliqua L.) is a tree very typical of the Mediterranean region, that for centuries has been cultivated, mainly, for the obtaining of its fruits (carobs o carob beans), but also for the ecological importance that it has in dry land. 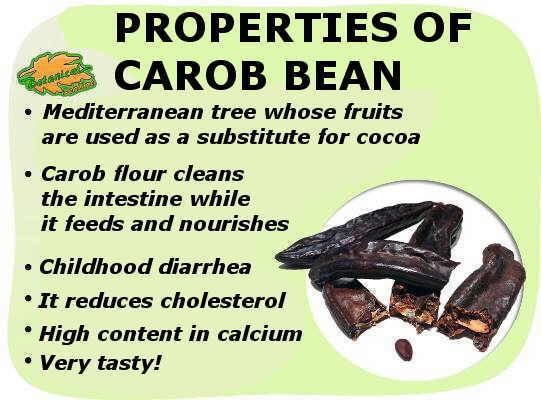 The fruits of the tree, carobs or carob beans, were used and are still used as food for animals, such as pigs or horses, for which the carob is an exquisite sweet. These fruits have also been used for many years in human food, although, as with the consumption of many wild plants, it was considered food for the poor, as it was eaten mainly in rural areas. In the subject that we are dealing with in this article, in natural medicine, carob has been used as a remedy for diarrhea and for constipation. Carob porridge cleans the intestine at the same time as it feeds and nourishes. 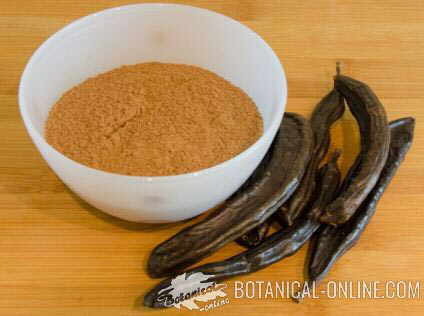 In both home remedies and food, carob tree is mainly used in the form of carob flour, which is obtained from the grinding of carob beans (mature pod and dried seeds). Carob flour contains whole fruits, with some seeds. 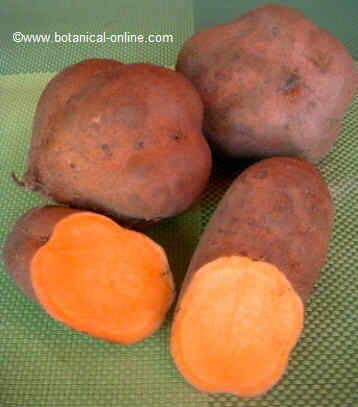 Therefore, it is rich in sugars and fiber (insoluble fibers are more abundant). 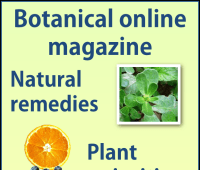 There are also traditional remedies described with the bark of the tree, which are discussed below. Carob flour is very useful for shortening the time of diarrhea due to the astringent action of its tannins. It helps stop diarrhea, especially in cases where it is caused by bacterial infections, such as salmonella, by parasites or intestinal worms. It is also interesting the prebiotic effect of the fibers of the carob, because they are fermentable and help to improve the fermentative intestinal flora. Since the time of our grandparents it is well known that, for children and adults, carob porridge clean the intestines at the same time as they feed and nourish. How to prepare carob porridge for the belly? An amount of about 50 g of carob (approx 4-5 tablespoons) per liter of water or rice vegetable drink is used. Dissolve in the cold and cook until thick. In children, it is advisable to use smaller amounts and increase progressively. Optionally it can be sweetened with molasses or sugar, or prepared with oats porridge, raisins and fruit. 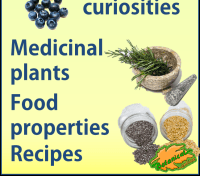 Carob is a well-known remedy highly recommended by pediatricians. In one study, a carob slurry and a placebo were given to a group of 41 children with bacterial and viral childhood diarrhea. For children who ate porridge with carob flour, diarrhea lasted 2 days less than children taking placebo. When studying the properties of carob to cure intestinal infections, it has been observed that this plant also helps to improve the health of the liver. This could be explained due to the antioxidant properties of this vegetable. 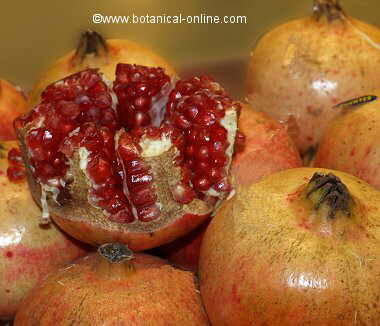 Antioxidants are necessary in the liver detoxification processes. One study evaluated the antioxidant potential of carob and was found to be superior to the antioxidant power of aged wines. Specifically, the use of carob extract as a adjuvant to a treatment of an intestinal infection (schistosomiasis), was seen to reduce the damage that this infection caused in the liver, reducing liver fibrosis. Therefore, carob is presented as an excellent remedy for parasites, intestinal worms and all kinds of infections that affect the digestive tract and that can affect the other organs. Because of its phosphorus and calcium content, carob meal is also recommended for people with osteoporosis or bone problems. If we look at its content per 100g, carob contains more calcium than milk. It has been shown that a diet high in fiber, such as the carob contains, helps lower cholesterol levels. This effect is achieved by capturing among its fibers part of the cholesterol and fats found in the intestine, dragging it and removing it from the body through the feces. With this hypocholesterolemic purpose, the addition of carob flower to the yogurts has been investigated commercially, so that these can be sold as a functional food to lower cholesterol. It should be accompanied by a diet to lower cholesterol. – Kidney stimulant: Carob flour, when mixed in cranberry juice, stimulates the lazy kidneys, increasing the level of urine. – High uric acid and gout: Carob flour (carob meal) is suitable for people with hyperuricemia because it contains salicylates, with uricosuric properties. 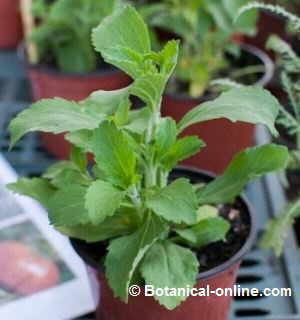 In addition, its diuretic properties help the body eliminate this excess of toxics. How much sugar has carob flour? Carob flour contains 90% carbohydrates, of which about half are simple sugars (45%), and the rest are complex carbohydrates. In homemade measures, 1 teaspoon of carob contains 4 g. of sugar. It should be mentioned that carob has other sweetening substances, such as pinitol, that do not affect blood sugar. That is, carob provides more sweetness than sugar, without raising the glycemic response (blood sugar), thus being a good choice sweetener. Diabetics can add a couple of teaspoons of carob in yoghurt, toast, muesli, porridge, milk, vegetable drinks or desserts, to benefit from the properties of this Mediterranean vegetable. Scientific studies have shown that carob flour has a low glycemic index, that is, the sugars it contains are slowly assimilated and, therefore, it does not produce hyperglycemia nor is it likely to produce blood imbalances. 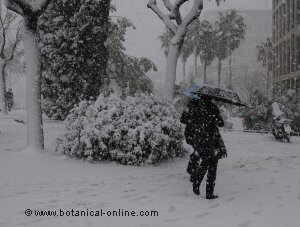 Carob tree bark has a high content of tannins with astringent properties. 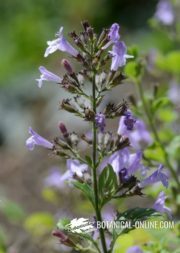 When we use the bark of the plant, very rich in tannins, its properties are reversed becoming a good remedy for diarrhea. (Decoction of 50 gr. of bark per liter of water, 4 cups a day. To be used in capsules does not mean that carob flour does not have similar properties. In the carob flour this mucilage fiber is also found, reason why a satiating effect from the carob flour can be expected.